Looking for the best way to raise money for your group or cause? Then look no further, because you’ve found it in the form of Rada Cutlery’s American Made kitchen products (kitchen knives, cooking utensils, cutlery gift sets, cookbooks, stoneware, gadgets and quick mixes). Over 19,000 nonprofit organizations (Schools, Teams, Clubs, Churches and Youth Groups) fund raise with Rada Cutlery each year. In fact, we have been helping groups raise funds since 1948 and developed our entire company around providing first rate products and services to volunteer leaders! Watch this video to learn more about why a Rada fundraiser is your group’s ticket to success! 2. Huge Profits on Sales – Rada Cutlery fundraisers give your group an incredible 40% average profit on items sold! That’s far more than most fundraisers. Your group’s efforts go further with Rada! 3. Unbeatable Customer Service – Fundraising groups are known to rave about the quality of Rada’s customer service. Our friendly, knowledgeable representatives are committed to helping each fundraiser be a success! 4. Three Lucrative Ways to Sell – A Rada fundraiser offers not one but three unique sales methods, each designed to maximize your group’s profits! Catalog sales is a tried-and-true method that allows your group to offer catalogs to friends, family, neighbors, and coworkers. Event sales feature a personal touch, taking advantage of friendly crowds and physical interaction with our stellar products. Online sales utilize the power of the Internet to allow fundraisers to make easy sales to supporters close and far. Use one, two, or all three methods to earn money for your cause! 5. American-Made Cutlery – Every Rada product is made entirely in the USA, from materials to manufacture. 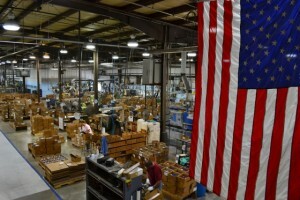 American workers craft each item with superior skill, making products your group and its supporters can be proud of. 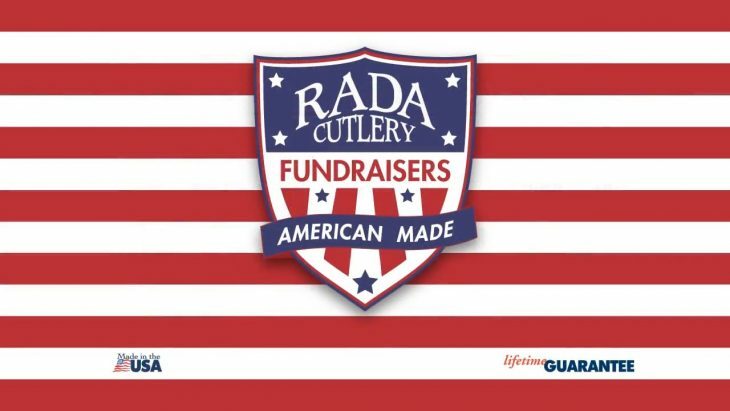 Stop by our website to learn more about how our employees’ skill and dedication make Rada products the best for your fundraiser! Hi, my name is Emma Withers, and I’m here to tell you why fundraising with Rada Manufacturing is the best way to help you have a successful fundraiser. Since 1948, Rada has helped numerous groups and organizations with fundraisers, like churches, schools, clubs, teams, and youth groups. Over 19,000 groups fundraise through Rada Manufacturing every year. Your fundraiser works directly with our company, which means you will get the best prices for our products. Our employees are here to help you every step of the way, and your group will earn 40% of the profits made through your fundraising efforts. 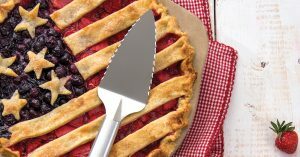 You get access to Rada Cutlery’s 100% American-made products, including over 80 cooking utensils such as the Rada Paring Knife, the Tomato Slicer, the French Chef knife, over 50 set gift set bundles, cookbooks, stoneware, as well as Quick Mixes and seasonings. All these items and more can be found when you order our free 32-page catalog describing these top-quality products. So let us help you with our next fundraiser. Visit www.RadaCutlery.com, or call 1-800-311-9691 for more information on how you can start fundraising with the best. 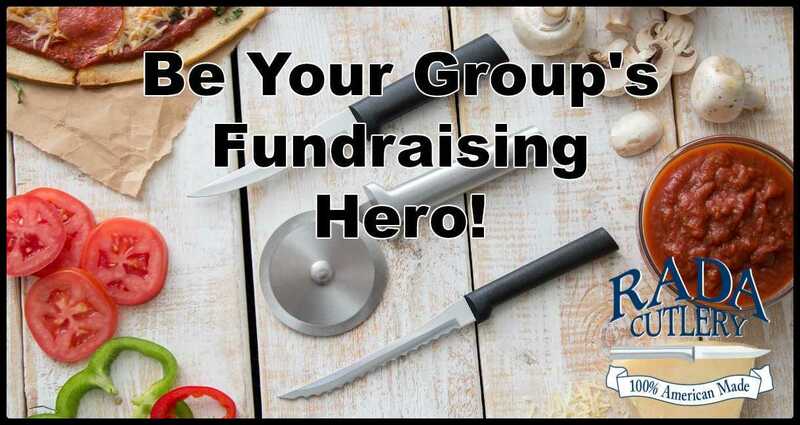 This article discusses why Rada Cutlery is the best fundraising partner around. Featuring a short but informative video, the article also gives information on how to quickly start your own Rada fundraiser.